Doctor Louis Creed moves with his family from Chicago to Maine to work as a doctor at the University of Maine. The house they bought sits next to a busy road that hosts an abundance of speeding 18 wheelers. 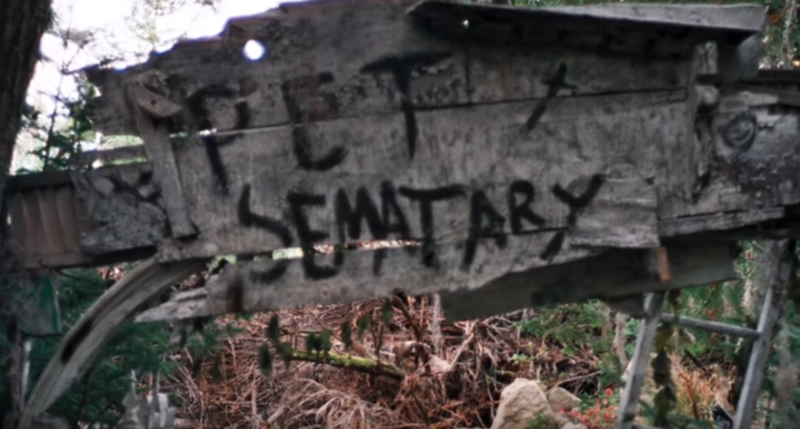 Across the street lives kind elderly Judd Crandall (played by Fred Gwynne, best known as Herman Munster in The Munsters) who takes them on a hike through their property where an old pet cemetery lies. After Rachel Creed and the kids, Ellie and Gage, go to visit her family, Ellie’s cat Church gets run over on the road. Afraid to tell Ellie, Judd decides to help by telling Louis of the secret burial ground beyond the pet cemetery. The film, directed by Mary Lambert, was released in 1989 and is surprisingly very true to the book — with a couple of exceptions. 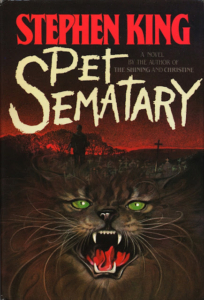 Anyone who has not seen Pet Sematary nor read the novel might want to do so before reading this review. First off. Norma Crandall. The book featured Judd Crandall’s sweet elderly wife Norma. We see her struggle with arthritis and unfortunately die. The film decided to omit this storyline completely, removing Norma as a character. She is replaced by Missy Dandridge, a nanny for the family who was only briefly mentioned in the novel. The reason for the need for Missy at all is to give young Ellie her first experience with death. I can understand why they needed to remove Norma. The time constraints on the film left little room for her and would have messed up the flow of the story. While she was a great character in the novel, the film had more pressing things to handle. Another thing the book goes over in greater detail is the compelling power of the burial ground. 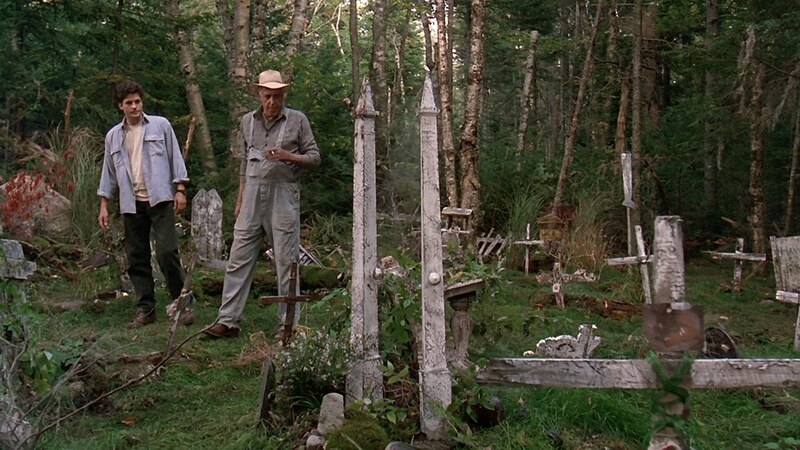 Judd felt compelled to help Louis bury Ellie’s cat in the Pet Sematary. Louis also felt that power when someone else died. The movie focuses more on the situation and doesn’t have the time or ability to cover how mystical the burial ground really is. Before I read the book, I had always thought that the power of grief did the work and never realized that the burial ground inspired a lot of the action without the characters even realizing it. There is a great portion of the book taking place inside Louis’s mind that didn’t fit into the movie. During the grave robbing scene in the novel, Louis fights with himself about whether he should stop and go home. Unfortunately, the burial ground’s influence and Louis’s grief wins over. Finally, the cat, Church, is very mild in the movie compared to the book. In the book, the cat watches Louis more and leaves dead mice and small animals at the garage door to watch Louis’s reaction. Louis knew that Church was doing it intentionally. 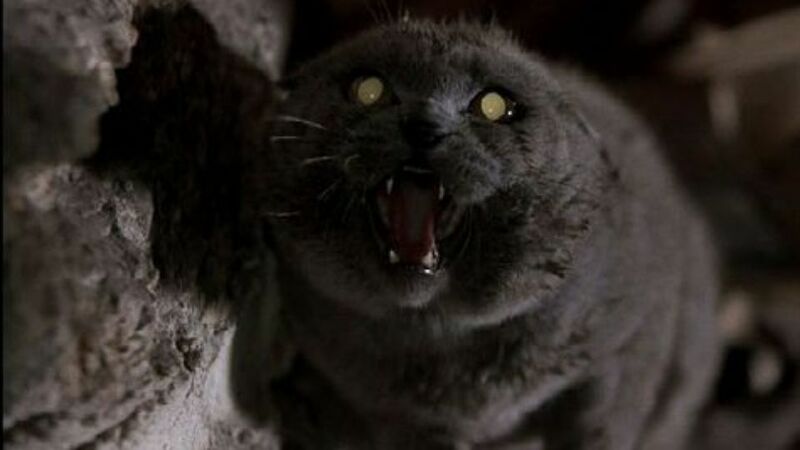 They had Church fixed in the beginning of the book/film, and Louis states that few cats hunt mice after that — and Church rarely even did before. While the movie left some details out and even a character, I felt it did a great job of keeping the dreadful feeling of the story. 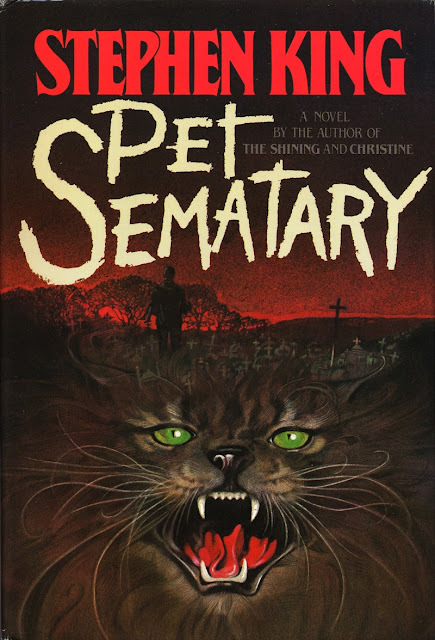 While not unheard of, I always felt that Pet Sematary was underrated compared to some of his other works. I think the plot is unique and thought-provoking. King does a great job making you care for this family and I always thought that was important in a movie like this. You feel more fear if you care what happens to these characters. This is honestly one of my favorite films and novels. I recommend both to anyone. If you have ever lost anyone you love, this riveting story will give you a difficult question to answer.